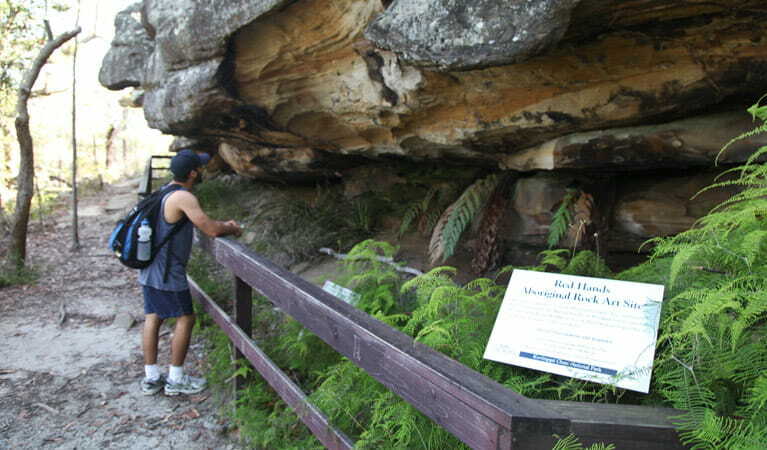 Take this short walk to check out the Aboriginal ochre rock paintings at Red Hands Cave, near West Head in Ku-ring-gai Chase National Park. 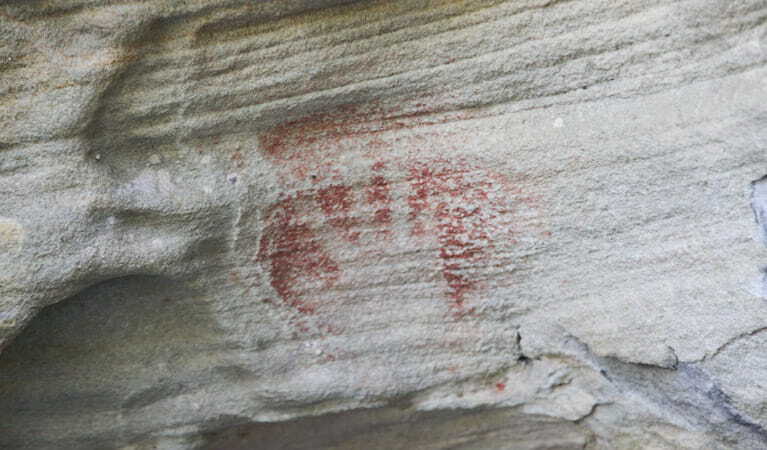 Aboriginal rock art and engravings along this walk are of great cultural and historical significance and are very delicate. Please don’t touch or interfere with the artworks. Arriving after a short walk through the red gums, you’ll discover the cave with ochre hand-prints. Pause for a moment to reflect on the lives of the people whose palms are now immortalised. The Guringai Nation extended from Broken Bay in the north to Port Jackson in the south and as far south-west as Lane Cove River. There are six clans within the nation, and it’s the Garrigal who lived at West Head. 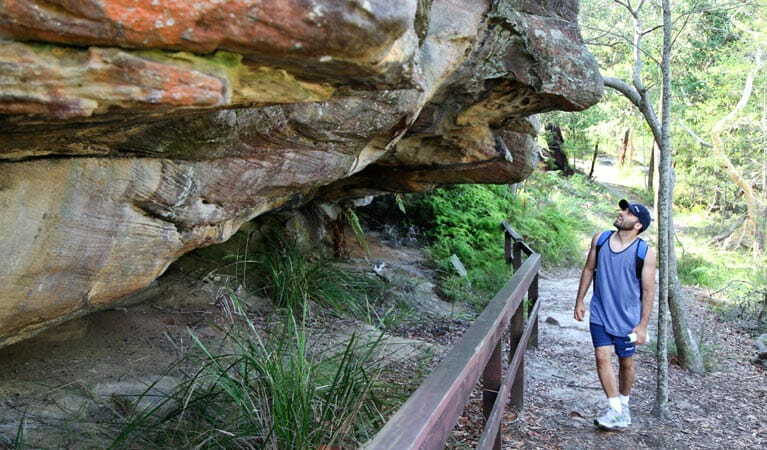 Retrace your steps, or if you’re inspired to experience more, continue on the Aboriginal Heritage walk for another 4km before returning back where you started at Resolute picnic area. 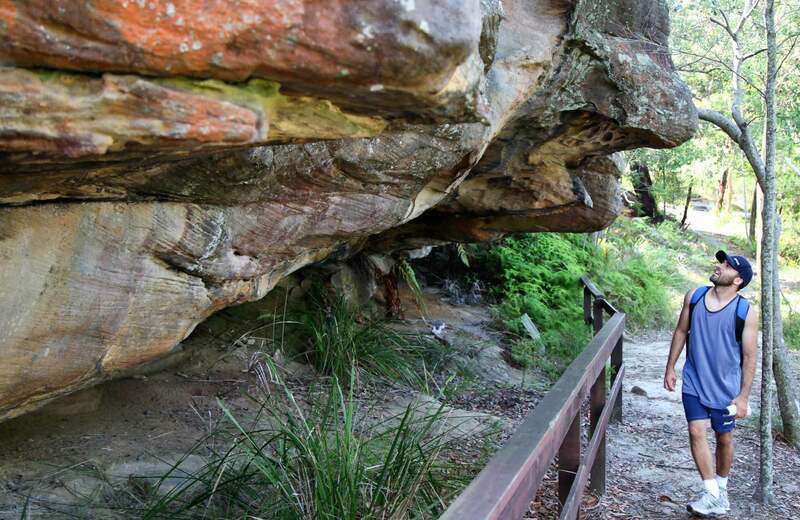 Take a virtual tour of Red Hands Cave walking track captured with Google Street View Trekker.